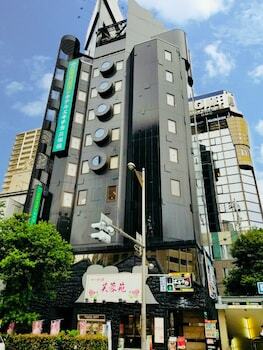 With a stay at Hotel Ekichika Nagahoribashi in Osaka (Namba), you'll be within a 15-minute walk of Shinsaibashi Shopping Arcade and Hozen ji Temple. Featured amenities include multilingual staff, luggage storage, and an elevator (lift). With a stay at Yamadaya Ryokan, you'll be centrally located in Kyoto, steps from Higashi Honganji Temple and 7 minutes by foot from Kyoto Tower. The front desk is staffed during limited hours. Located in Nikko, Tabino Yado Marukyo is within a 15-minute walk of Kinugawa Hot Springs Fureai Bridge and Kinu Tateiwa Otsuribashi. Free self parking is available onsite. With a stay at Hakuba Park Hotel in Hakuba, you'll be a 1-minute walk from Hakuba Ski Area and 12 minutes by foot from Hakuba Goryu Ski Resort. Free self parking is available onsite. With a stay at Ailinn Kawasaki in Kawasaki, you'll be within a 15-minute drive of Kawasaki Daishi and Tokyo Bay. With a stay at Hotel Route-Inn Shiojirikita Inter in Shiojiri, you'll be within a 15-minute drive of Japan Ukiyo-e Museum and Baba Family Residence. Free self parking is available onsite.